What is a mortgage? If you're a newbie home buyer, you may be confused by what you need to do to get a home loan, and what the funds from a lender are going to cover. You may even be wondering whether you can skip out on this step to home ownership. Read on for tips on how to find a mortgage, when to apply, and the different types you'll need to consider. Since you probably don't have hundreds of thousands of dollars lying around, a mortgage is a loan that enables you to cover the cost of a home. You pay back the loan over the course of years or even decades. Consider it the biggest, longest, most life-changing IOU you'll ever give out! But there's a surprising variety of choices available. Here’s an introduction to everything you need to know about mortgages. Believe it or not, you should shop around for a mortgage even before you start hunting for a house. It might not be as fun as checking out open houses, but it’s way more important. You’re looking to get a mortgage “pre-approval,” which serves two main purposes: One, it will show the sellers that you are serious about buying a home, which is particularly crucial in a hot housing market, says Chantay Bridges with TruLine Realty in Los Angeles. But more importantly, it will let you know how much home you can afford. Before you start browsing online listings or visiting open houses, take a look at our home affordability calculator, which will give you an idea of how big your mortgage will be. Banks: This can be a great place to start if you have an institution you work with that already knows you and your finances. That said, banks typically have only a few loan options so its smart to talk with your banker, and then compare the programs with a couple more options before settling on one. Mortgage brokers: These advisers are specialists who can help walk you through a much wider variety of options to find a loan thats right for you. They often work with many different lenders so they can help identify different rates and programs based on your specific situation. Down payment: This is the money you must put down on a house to show a lender you have some skin in the game. Typically lenders like to see home buyers make a down payment totaling 20% of the price of the home (e.g., $40,000 on a $200,000 home), although in some cases they'll take less. Principal: This is the amount of money that you are borrowing and must pay back, which is the price of the home minus your down payment (taking the above example, you'd subtract $40,000 from $200,000 to get a principal of $160,000). Interest: Lenders don't just loan you the money because they’re good guys. They stand to make money off you, too, since you pay them back plus interest—a percentage of the money you borrow. 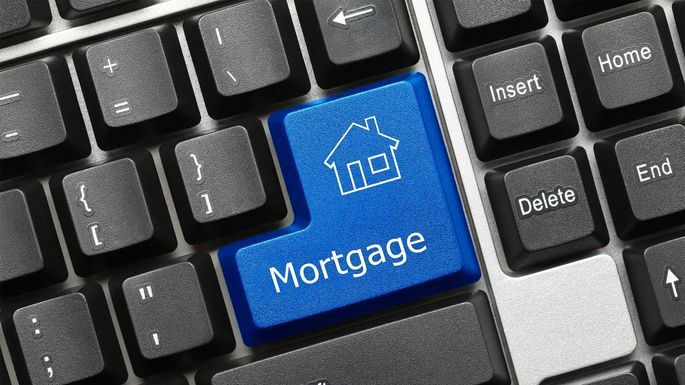 Fixed-rate mortgage: This is just what it sounds like. The interest rate will not vary over the life of the loan. While rates might be slightly higher overall, they are a good choice for someone who likes the certainty of knowing their payment will never go up. Adjustable-rate mortgage, or ARM: These mortgages start with a lower interest rate for the first few years, and then they will adjust after a predetermined period (typically five years) based on market indexes. Borrowers enjoy the initial lower payments, but this type of loan can feel risky if interest rates rise a lot. However, there is a cap that can prevent too much damage. Loans also have different “terms,” which means how long you’ll make monthly payments. The two most common terms are 30 years and 15 years. The payment on a 15-year loan will obviously be higher each month you have it, but it will ultimately save you money in interest over the life of the loan. Since loans come in all shapes, sizes, and interest rates, you should definitely shop around, much like you'd compare different laptops before settling on the best one for you. And, since interest rates fluctuate daily—which will have a direct impact on what you ultimately pay—you’ll want to do all your research during the same time period as much as possible, says Brandon Haefele, president and CEO of Sacramento-based Catalyst Mortgage and a member of the board of directors of the California Mortgage Bankers Association. That way, you know you're making a valid comparison. Working with a qualified (and patient) loan adviser can help you sort out your options. They can help you determine which type of loan is best for your situation and walk you through what your payments would be for different types and terms of loans. They’ll also break down the various fees that come with each loan.